We forget where we put the keys. What day our niece’s birthday falls. Where we hid that present that would be perfect for Aunty Jean? But being responsible for genocide? Yeah, no, that, THAT, is something you’d definitely remember. 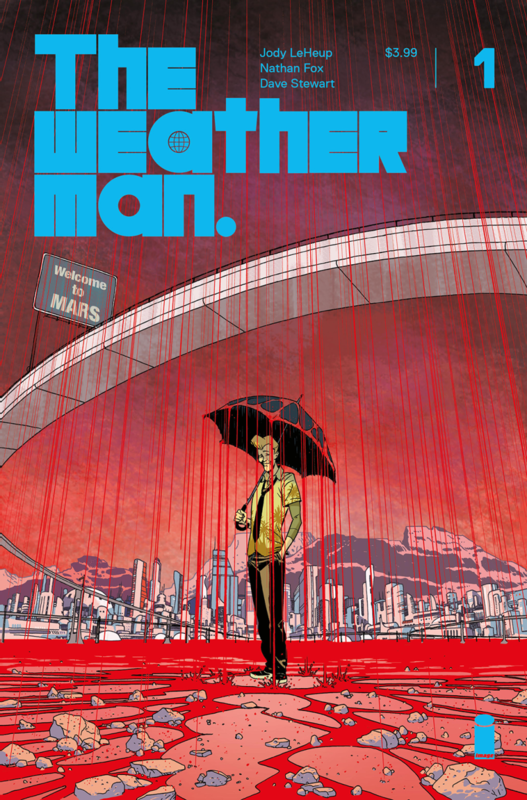 Unless you’re Martian weatherman, Nathan Bright, who finds himself accused of masterminding a terrorist attack on Earth that all but wipes out the human race and has to flee across the stars to escape the inevitable retribution. Thing is – he can’t remember a thing. Not one bit of it – so is he not guilty or just really, horrifically forgetful? Alas The Weatheman of the title, the one with the great girlfriend, crazy fun presenting style and a Golden Retriever can’t remember whether he did or didn’t do it, a problem when you’re being fingered for what is essentially the crime to end all crimes. So on the run he goes but when you’re a feelgood, zany weatherman are you really ready to be James Bond among the others. 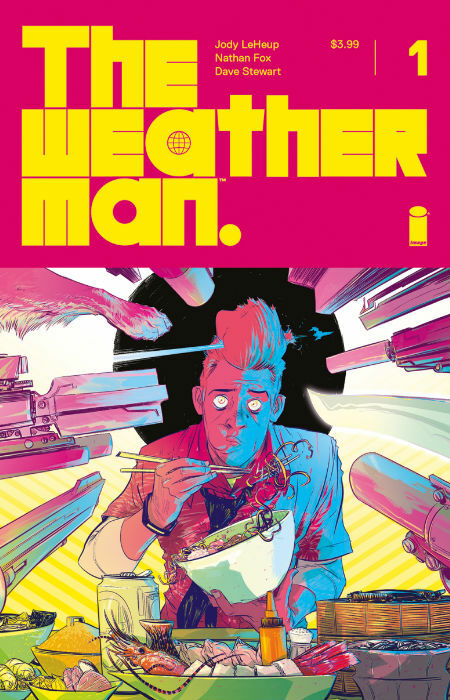 The Weatherman sounds like a clever, funny, deadly serious, amazing series that will be well worth reading if only to feel better about those momentary slip-ups of memory we all go through. Issue #1 will be available at your favourite comic book store on 13 June. Read a fascinating interview with Jody LeHeup.